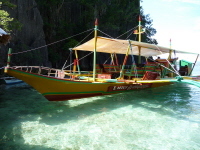 The Rocksteady Dive Center is a full-service Dive Centre, under German management, located in the uprising, beautiful town Coron/Palawan/Philippines. Our service includes personalized and friendliest scuba diving experiences for individuals and groups. We offer you a professional, friendly and unforgettable diving, motorbike tours, island hopping and special trips to other destinations around the islands. It will be a pleasure for us, to make your visit as comfortable as possible! We focus our diving with small groups to ensure enjoyable and safe diving. Our dive shop is equipped with 15 rental-sets. The 12 and 15 liter Alu-Tanks come with Dual Adapters (INT and DIN). 7 Liter Pony bottles are available for decompression dives or children diving. We are offering special sizes and cuts of wetsuits for women, 2 dioptric lens masks, Twin-Set Bands and Wing-BCD with backplate. Our Compressor can fill up to 40% Nitrox. The nearest Decompression chamber is in Coron Town. The international scuba-diving staff of PADI and SDI Dive-Instructors and Divemasters will ensure safe and enjoyable dive-courses and dives! From Bubblemaker up to Divemaster, everything is possible and our Instuctors will take the time you need to feel safe and comfortable under water. 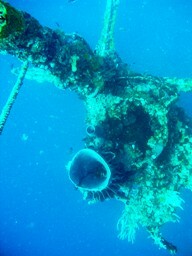 The Rocksteady Dive Center offers daily dive-trips to the 10 famous Japanese WWII Wrecks of Coron Bay, several Reef dives and divetours to the unique Barracuda Lake. 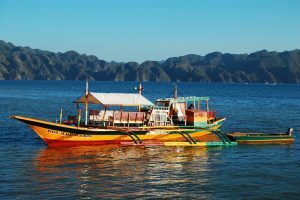 We operate the dive-trips with our three new rebuilt bangkas “Dos Hermanos”, “Three Little Birds” and “Emily Sampaguita”. The boats are additional equipped with an Oxygen emergency-kit and spare-equipment. Our Divemasters and Instructors will give you a proper dive briefing before each dive. Safety is our first priority.